The bane of the internet world today is spam. Internet spam is the biggest issue that webmasters face. This is because it dampens the training and experience of traffic on a website and dilutes the power of content. 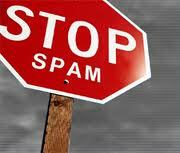 Internet spammers are searching smarter and more powerful way to spam website or blogs everyday. The only and best way to stop spammers from your site is to use Akismet wordpress plugin. Akismet plugin is really easy and simple that filters and prevents website spam. It specifically filters blog spam comments; it is also called “spommet”. The Akismet wordpress server is able to clean blog comment spam at very big stage by combining different elements and intelligence from blogs that join in pinging. Akismet wordpress plugin is very easy to use. A default wordpress installation comes pre-installation with plugin script and all you require to do is too active from the wordpress plugin page. The second thing you need to know register API key. The register API key allows your blog or website to communicate with Akismet servers. To get an API key you simply register at Akismet.com. Choice the personal website or blog option and you will not have to pay any amount. You will receive your API key directly to your mail box. Move to the configuration page of your blog or website and submit the API register key. Akismet plugin will immediately go to work and even fully eliminate trackback spam and “spommet” on your website. In the unlikely situation that a spam message happens to search it way to your website comments, simply mark it as spam Akismet plugin automatically will record this act and recall the experience when dealing with future blog comments. Akismet wordpress plugin has been able to deal with the issue of spam on wordpress blog and websites to a big extent, a few issues have been noted lately. Some heavy traffic on the server leads to an extra overload. The result of this is that easily vanish or few some other funny actions is noticed. Businesses have to pay a cheap fee of between $5 and $90 per month depending on the size of the business and needs. A powerful Akismet plugin competitor in my is denfensio. Actually, Defension does more that just save your website from spam comments. It ca filter out and keep out website links to malware by blocking website links to executable scripts and files. I test Defension and I have to say I really like the service. The way blog spam is presented makes it pretty faster to twin check for positive comments trapped by mistake. I install both defensio and Akismet on my website and both do great job. Like Akismet wordpress plugin you will also require to get API Key to use Defension website. Remember that you do not active both plugin at same time. De-active one plugin before you active another plugin otherwise both are conflict and makes serious problems for your site.